This book was on my to-read list for a long time, the only reason why I haven’t read it was due to bring unable to even find it. But I enjoyed the book itself, fun and rather entertaining. But for its characters I wouldn’t mind more flaws, characteristics or other things. But there were many parts which made me just feel for Celaena and other characters. The main issue with Celaena wasn’t that she wasn’t a good assasin, but she jst felt too good at everything. But I qouoe have also preferred if she was known by another name, world’s most notorious assasin that doesn’t have a nickname, makes no sense, or any legends about her. And that she truly was a sappy mess from time to time, I would have wanted her to be a little more interesting or just emotionless when she takes a life. And that she has flaws, but I just feel as though she should have been way more cautious, much more than just being unable to smell the poison. And as for the book, more fight scenes please. I barely read any at all, in fact I didn’t really think them assassins, it would have make much more sense to just have then kill each other and the last person standing the victor. And that Celaena being the best assasin at age 17, I don’t know how to believe it. But at least she was skilled in fighting, but personally I was expecting the competitors to kill one another in their sleep. And that almost all of them should have been way more alert than that, or even more suspicious. And that she has been to a death camp and back doesn’t help and makes me wonder: how the hell did she even survive? But the competition did have its merits, it ensured that Celaena didn’t wind up dead or being killed in the first couple of days or that her identity would have been blown. And she had time to build up her strength. But the entire competition to me was rather tame, I was surprised and tensed at a few moments but the rest of it was free and easy. But I should have thought that all of them shouldn’t underestimate their opponents, and most of them who needed to kill those in secret, they were too loud and lacked subtlety. And some were thieves, I’m just rolling my eyes at that part. Unless they also kill those they rob, I’m just not convinced. Or soldiers with questionable behaviour, I would just lock them up, like seriously. I believe that the assassins that were brought in had to be checked for sanity of mind, first so they don’t wind killing too many people and cause a political scandal or end up doing a genocide. Which means logic and reason over their emotions. And that the assassins here had to be real and good ones. Most were just ex-guards, thieves or some other things. I would have liked Celaena’s own mentor be here, or some of the people she knew. And in fact, best assasin here, but I don’t remember who she killed which was important. In fact, freeing people is what a rebel would do not an assasin, unless she also kills those in charge of them. The king himself I just have the feeling that he would the antagonist later on, and that there are hints. Such as the moment when he used Cain, to other people. It made me feel as though he’s a king, and someone who has gained a throne and ruled a kingdom. Chaol and Dorian they were fine, not the best but they did respect Celaena for who she was and let her be herself. And even loved her for who she is. 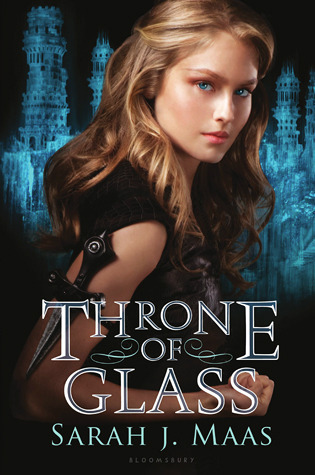 Throne of glass was enjoyable even though I didn’t believe a lot of things many times, or had a logic gap.